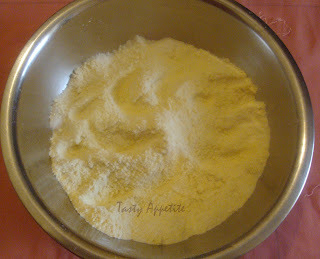 Lets see the easy way to prepare this popular South Indian Snack now..
Take gram flour, rice flour, red chilly powder, salt and asafetida pwd in a bowl. Mix well. 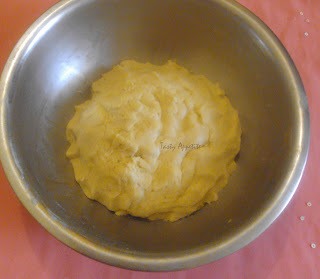 Sprinkle little water, add butter and knead to smooth dough. Keep it aside for 10 mins. Heat oil in a heavy bottomed kadhai. 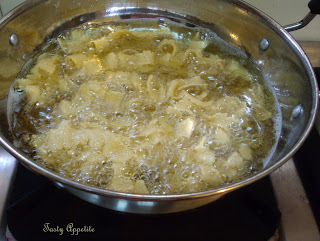 Grease the ribbon pakoda strainer / press with oil. 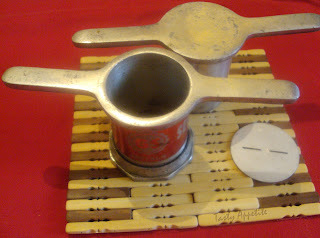 Take a handful of dough in the press, close with ribbon pakoda mould. Sqeeze it in hot oil in big circles. Keep the flame in medium and fry to golden . Keep flipping till both sides turn crispy. 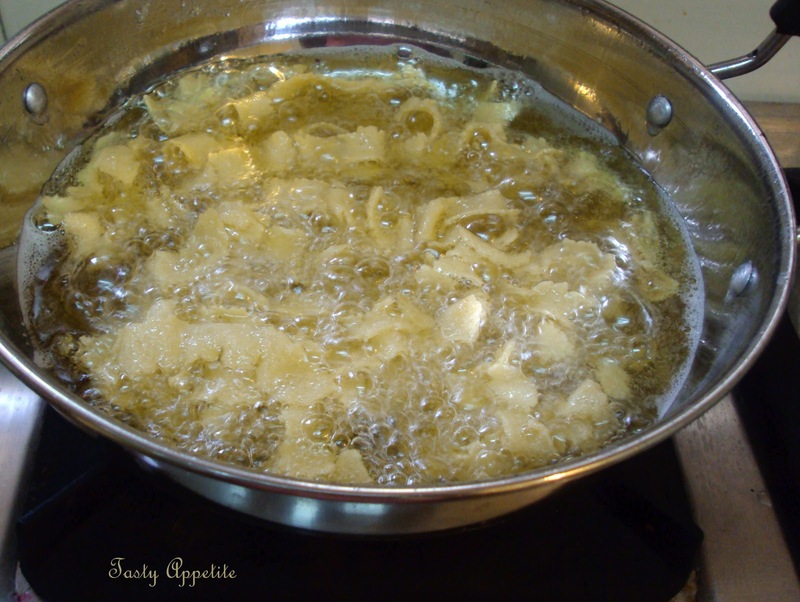 Take it out and place in kitchen tissue to remove excess oil. Allow to warm and store in air tight containers. Crispy , yummy snack ready to relish...! I like these too and buy them at the Indian grocery store near me. It looks pretty simple to make but I'll have to get the mold. Thanks for sharing. crispy and crunchy the color is perfect. slurrrrrrrp my favourite looks very crunchy can u parcel me some? 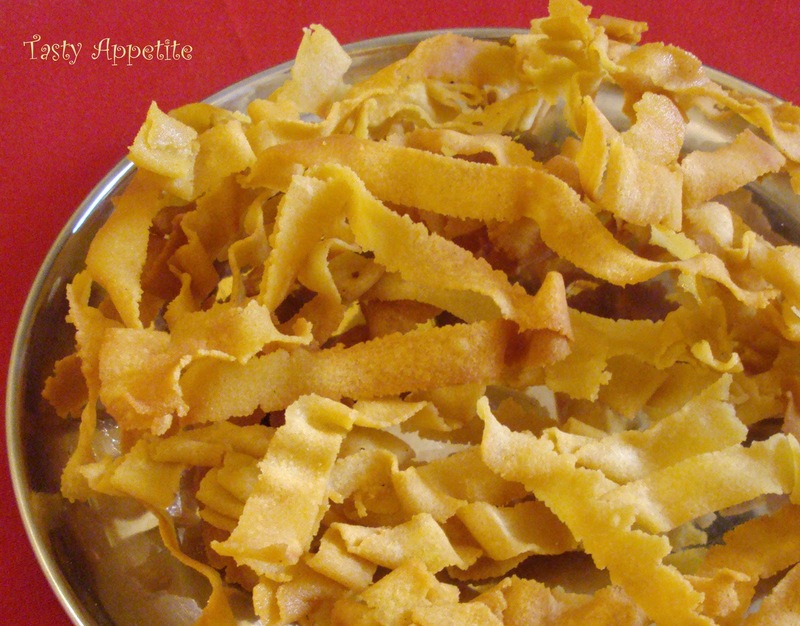 Crispy looking delicious Ribbon Pakoras. Pics are too good. 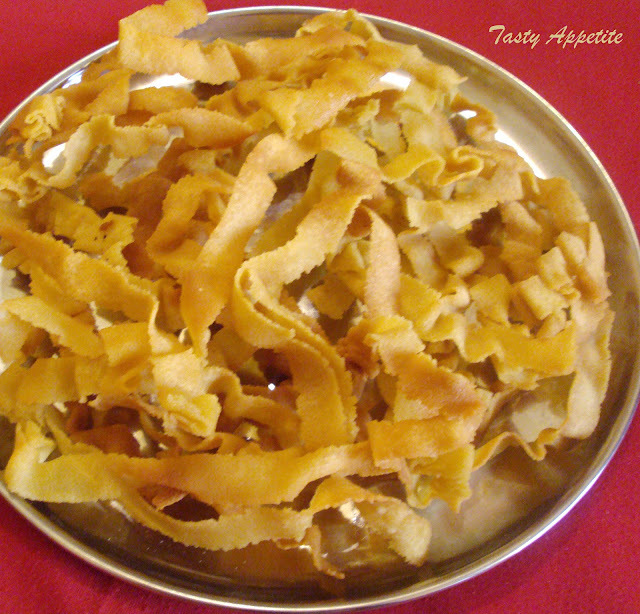 super noruku theeni--can crunch it all day long ! 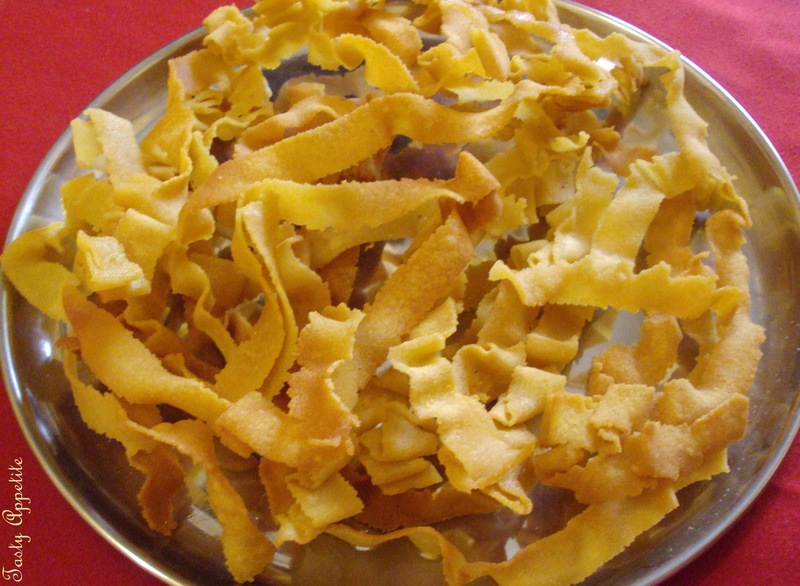 crispy ribbon pakodas.. one of my favorite snack..
ரிப்பன் பகோடா அருமையாக இருக்கு...கலர் மாறாமல் அழகாக செய்து இருக்கின்றிங்க.. Thanks Geetha..that mat is gifted by my Sweet Heart to me ..after his return from Delhi..I like that very much..! Crispy & so tempting.Nice clicks. Lovely. Must make a batch for my ever hungry for fried stuff teen. wow they look so crunchy and superb. I will have to make these today..you made me crave some,looks great.. Perfect and yummy tea time snack,love it. Crispy pakodas makes me drool,feel like munching some..
Crispy and very tasty snack...great with tea.. They look so crispy and crunchy.Haven't made this in a while I am planning to try your version soon. Thanks Jay,for dropping in at my place so that I could reach here !! Awesome blog yaa. The pakodas are scrumptious..meaningful craft. Adding you to my favs. This looks so good, love it with a cup of hot tea. Hey Jay, how clever of you! This is so simple & looks really tasty. Thks for sharing! You are right, this is ideal as a snack! Jay, thanks for the visiting my blog. These treats look so delicious and wouldn't last long around me. They remind me of my mom's Italian sweet bows recipe where the dough is fried and sugar is sprinkled while they are still hot. One of my favorite kaaram. Nice pictures. Looks so good. I am a gadget freak and I love this one. Where did you buy it. Not too far from our apartment is Little India neighborhood...would any store sell it. Pretty ribbon crispy treats definitely and love the fact that they are homemade. Wav crispy and tasty ribbon pakodas. Hi Jay, thanks for your inspiring comment. 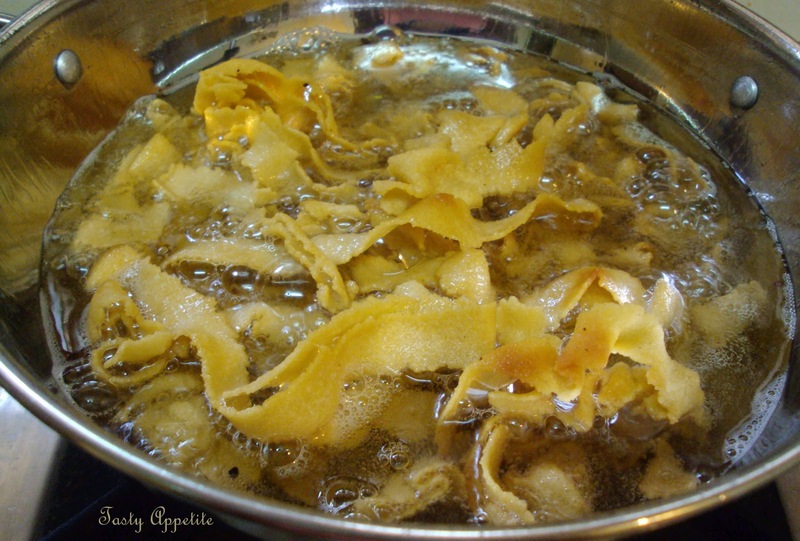 ribbon pakoda looks so crispy. Crispy nada pakoda, we all love this sanck, nice pictures. drool worthy and crispy snack.my all time favourite!! !